DR (Danish Broadcasting Corporation) is Denmark’s largest electronic media enterprise founded in 1925. DR is an independent, licence financed public institution comprising of television, radio and online services. White Right: Meeting the Enemy will be broadcast under the title 'Det hvide højre - møde med fjenden' on DR2 on Thursday 31st May 2018 and will also be made available to watch via DR’s streaming service DR TV. 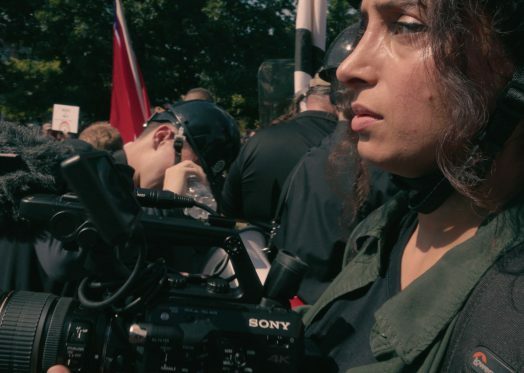 DR have previously broadcast Deeyah Khan’s film on Islamist extremism, Jihad: A Story of the Others. For more information on White Right click here.